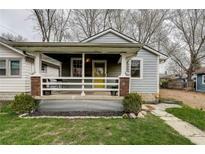 Below you can view all the homes for sale in the Brookside Park subdivision located in Indianapolis Indiana. Listings in Brookside Park are updated daily from data we receive from the Indianapolis multiple listing service. To learn more about any of these homes or to receive custom notifications when a new property is listed for sale in Brookside Park, give us a call at 317-399-9179. 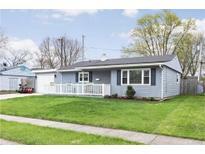 Updates also include new wiring, HVAC, plumbing, concrete driveway, newer roof, tankless water heater, & water softener. MLS#21632296. F.C. Tucker Company. Ring doorbell stays with the home. MLS#21633602. RE/MAX Ability Plus. Great for first time home buyers. MLS#21632667. Greentree Real Estate Group. Also close to grocery store, restaurants and schools in the area. 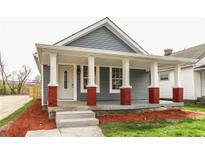 MLS#21631944. CENTURY 21 Scheetz. 2 bedroom with large living space. Detached garage. 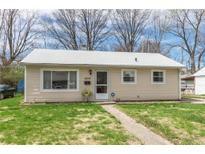 MLS#21622337. Berkshire Hathaway Home. Newer roof (3 years old) and furnace is 2.5 years old. MLS#21618002. Complete Real Estate Solutions. The house offers lucrative cash flow to the seasoned or new investor. Don't miss this one! MLS#21598034. First Choice Housing.